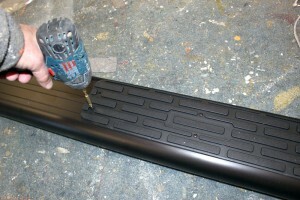 We had panned to use Ionic Running Boards, which appeared to be descent quality at a reasonable price. 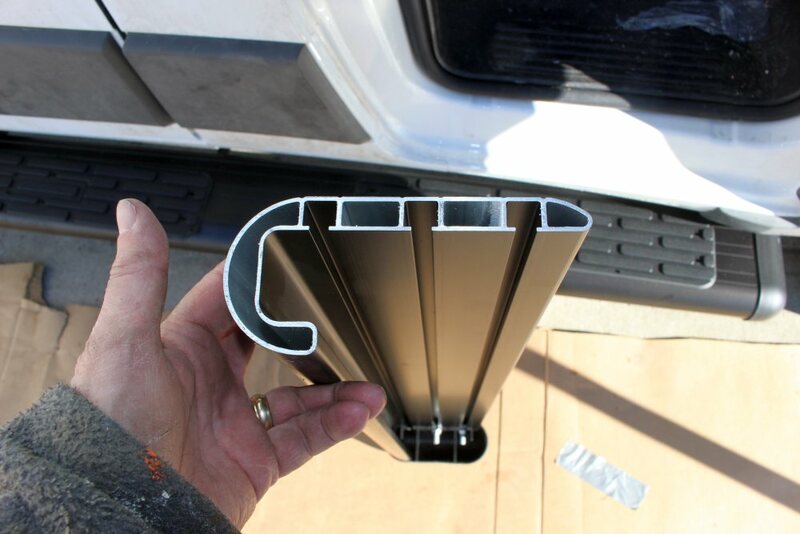 But, on trying to order them we found that they had stopped selling them because the brackets did not fit the ProMaster correctly and needed a redesign. 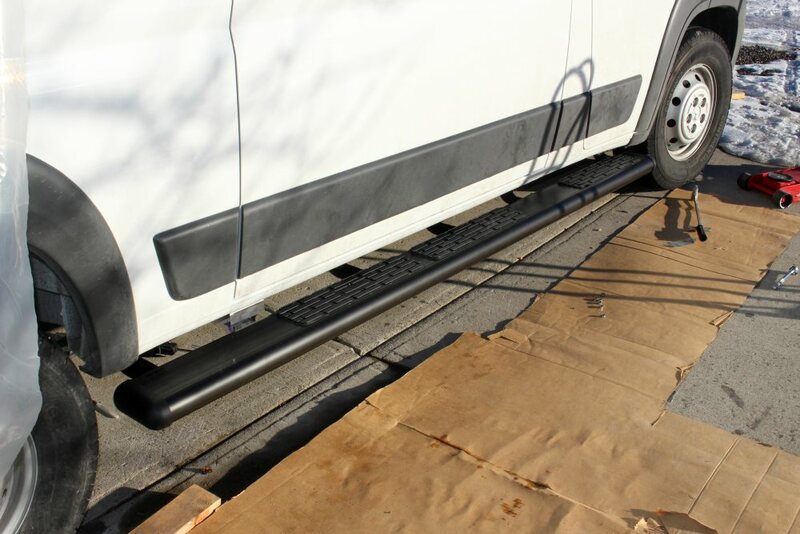 After waiting months for them to come up with a redesigned set of brackets, we decided to go for theLuverne running boards from EuroCamper. This shows the heavy gage extrusion — the heads of the attachment bolts slide into the open channels in the extrusion. 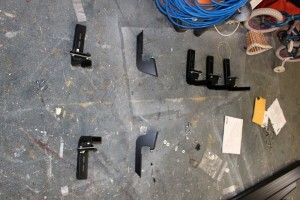 This shows all 7 of the brackets — the 5 on the left are for the passenger side 96 inch long running board, and the 2 on the right are for the short drivers side board. 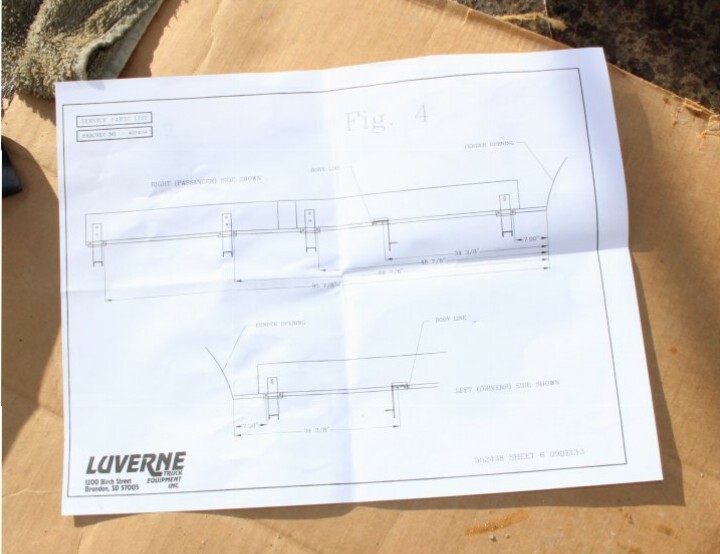 You start the install by marking the points on the bottom of the pinch weld of the van for each of the brackets — these are all measured from the front tire fencer well. 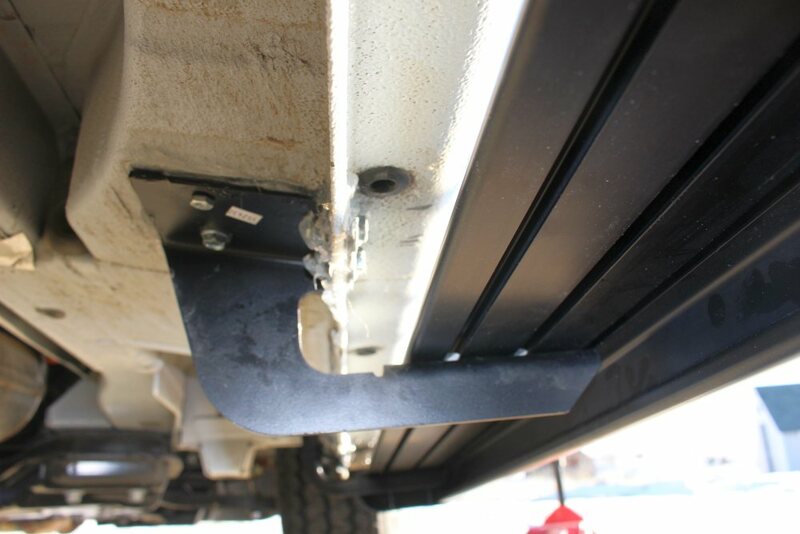 Each bracket attaches to the pinch weld with two 5/16ths bolts — you start by marking the location of the forward bolt for each bracket by measuring from the front fender well. 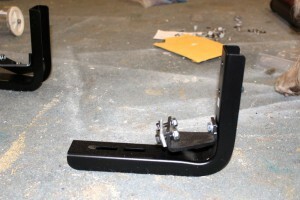 This is the most forward bracket installed. 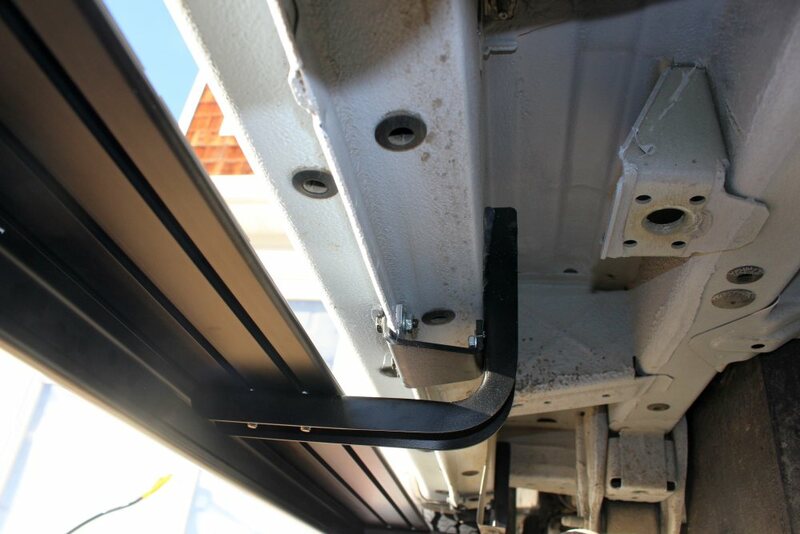 The picture is not that great, but you can see the U shaped spacer between the pinch weld and the bracket attached with the two 5/16th bolts, and the attachment of the vertical leg of the bracket to the inside of the rocker panel — this attachment is via either a 3/16 sheet metal screw or a nutplate depending on the bracket. 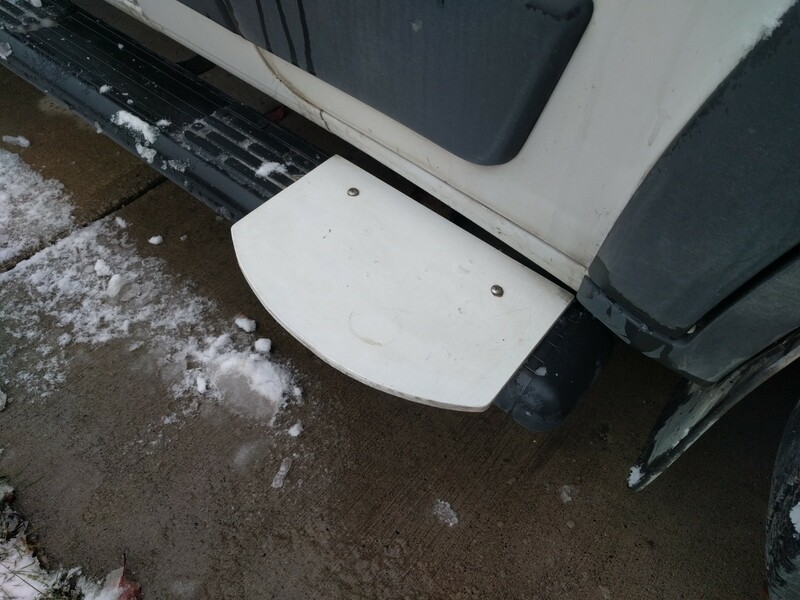 They provide plastic traction pads that you screw to the top of the aluminum running board extrusion with self tapping screws. 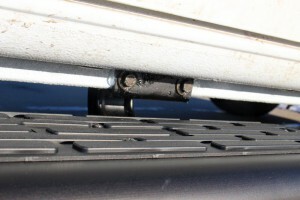 The long running board comes with three of the pads and you can position them where you like — e.g. two for the sliding door and one for the passenger door. This seems to work pretty well — they provide good traction. Time will tell how they hold up. 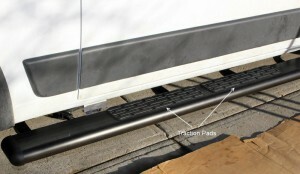 Traction pads already attached to running board. Some pictures of the finished running boards. 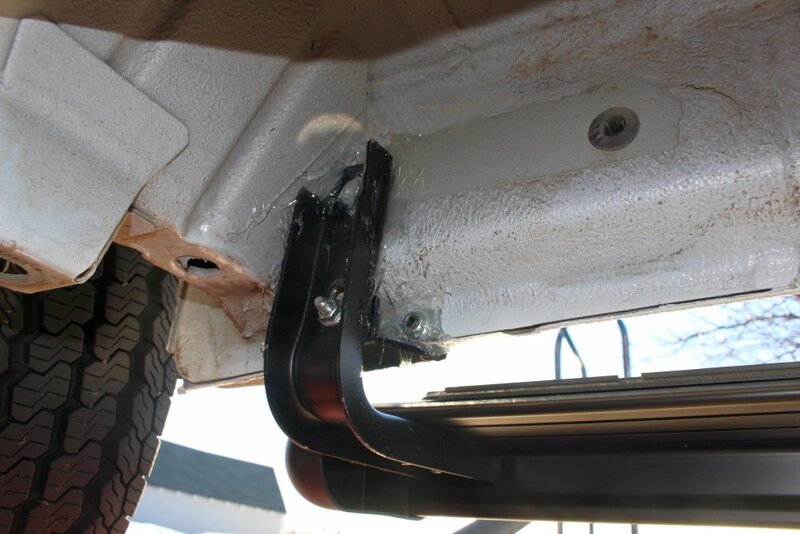 Other than the problems with the number one bracket, the installation was relatively straight forward as long as you are OK with drilling quite a few holes in your van. With the exception of the small mod to bracket 1, all of the parts fit properly and lined up well — judging from some of the posts on the PM forum this is not always the case. While one of us was recovering from a surgery, we added the features shown below to make entry and exit easier. We have found them to be so useful, we just left them on. 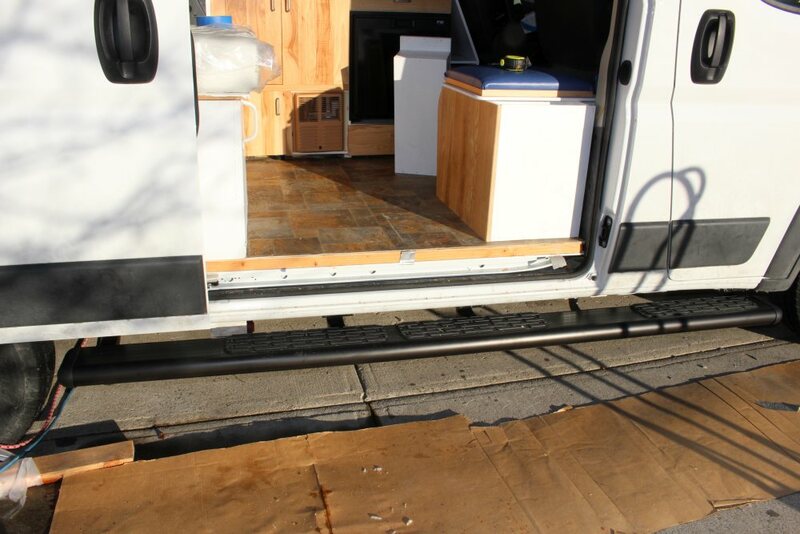 The running board is kind of narrow especially when exiting the van, so we added these wider steps — one at the passenger door, and another at the sliding door. They make getting out noticably easier. The steps are just made from MDO plywood and fastened with stainless steel bolts. 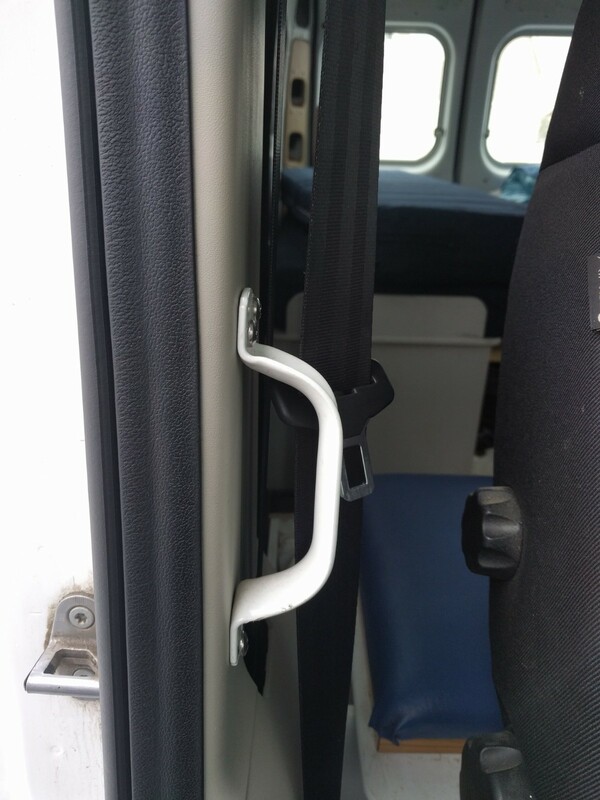 Added an extra handle on the rear door frame for the passenger door, and another handle/post at the sliding door. 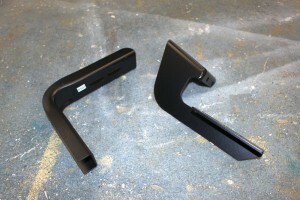 This is the handle added to the passenger door frame. Its hard to find a really good location, but it help. Handle was just a standard hardware store model. 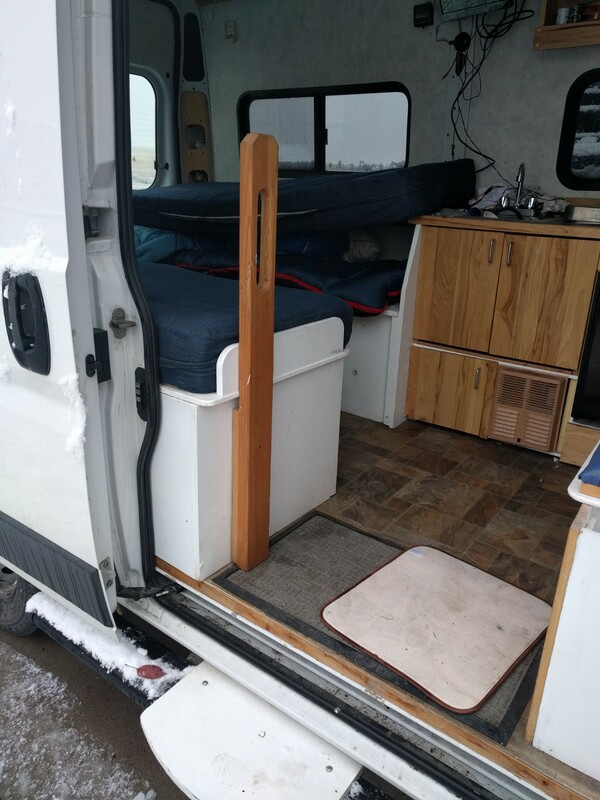 This post we added at the end of the bed platform looks kind of goofy, but it is surprisingly helpful for both getting in and out quickly, and it does not get in the way for other things. 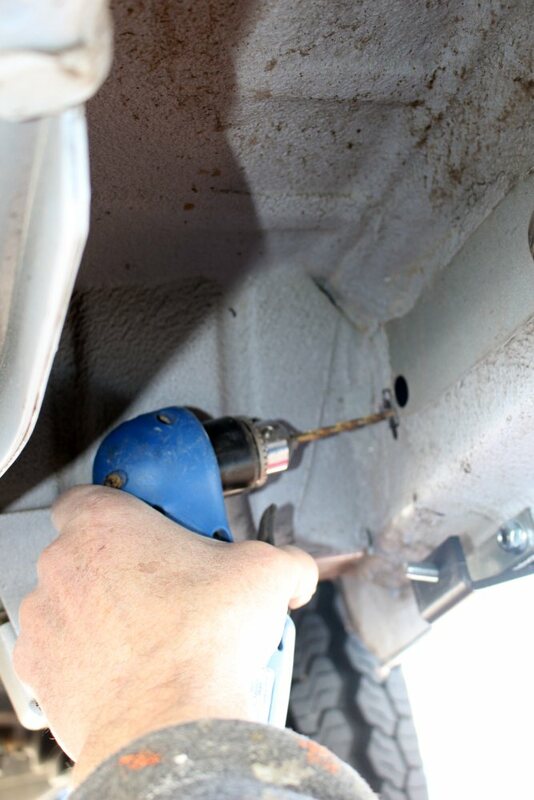 The time to install the long passenger side running board was about 5 hours — the problems with the number 1 bracket probably burned up a couple hours of this.